The “Set to Sea” book won’t be out till July, but I’ve heard that it’s being solicited in the current issue of Previews – so go bother your local comic shop to order a copy for you! 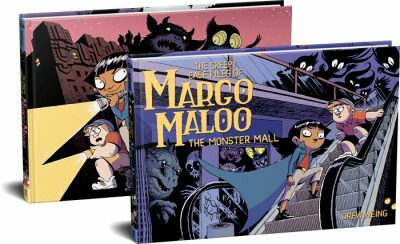 If you absolutely can’t get it from your friendly neighborhood comic shop, or local bookstore – here’s an Amazon preorder link. I do encourage the former two options, though. And while I’m about things – here’s the final cover art! Oh man I have been following this since you very first started posting it to Livejournal in like the mists of 2005 or something. Loved it from page one! I just ordered it through previews. I can’t wait to see it in the real world. p.s. Will the Fantagraphics book also feature some sketches/first version of the panels and background info like the picture of your desk which appeared on LiveJournal? Hi Nicola! Nope, it’s going to be strictly the comic, but it should be a really pretty book. That bonus stuff works better on the web, anyway (color, animation).